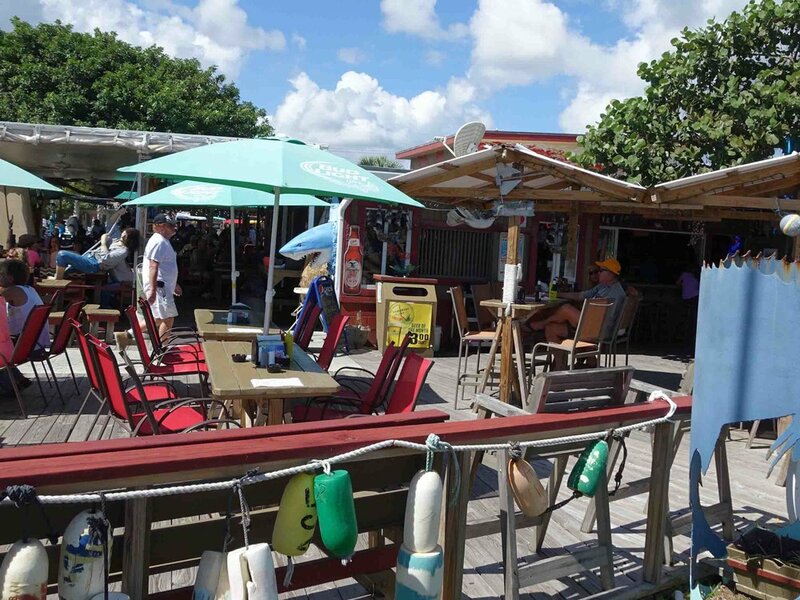 Archie's Seabreeze is a Florida beach bar located in Fort Pierce. Discover this great Florida beach bar. 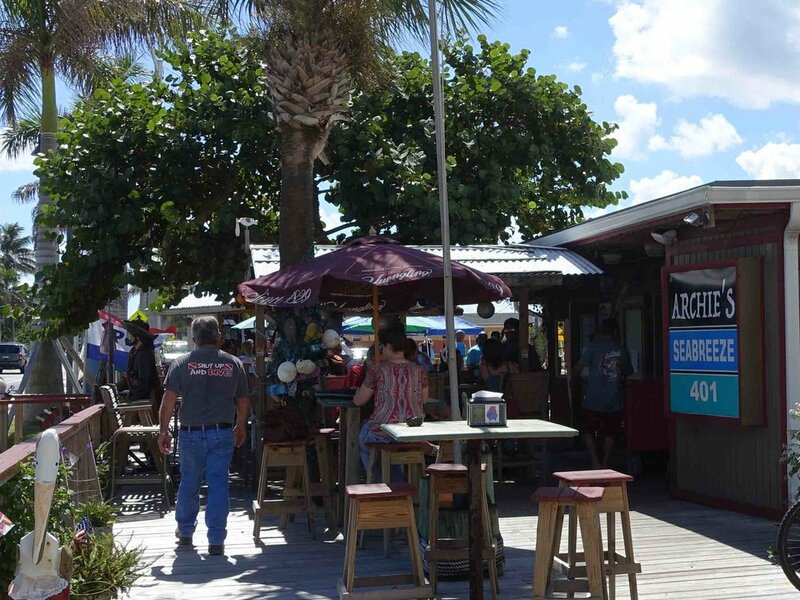 Archie's Seabreeze is a rustic, old Florida style and great Florida beach bar. 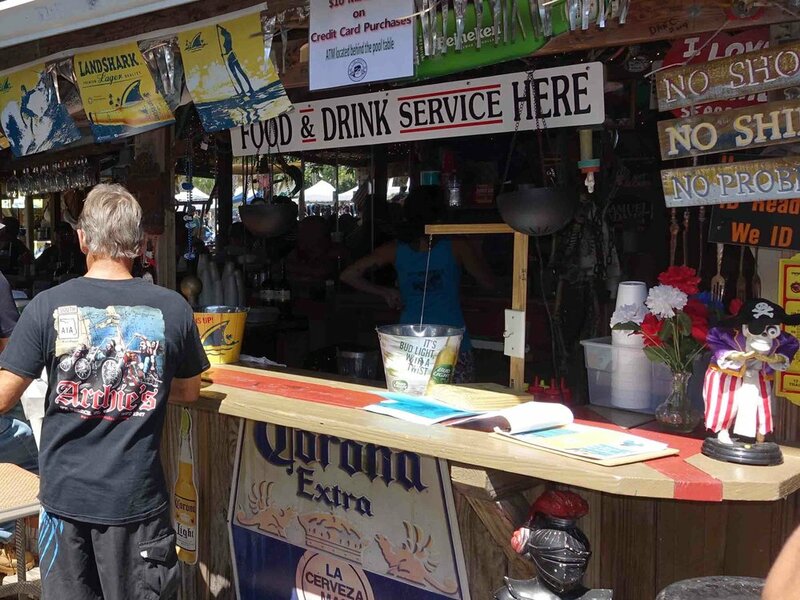 We do love the beach bars that look like they have weathered the storm, and most of them have! 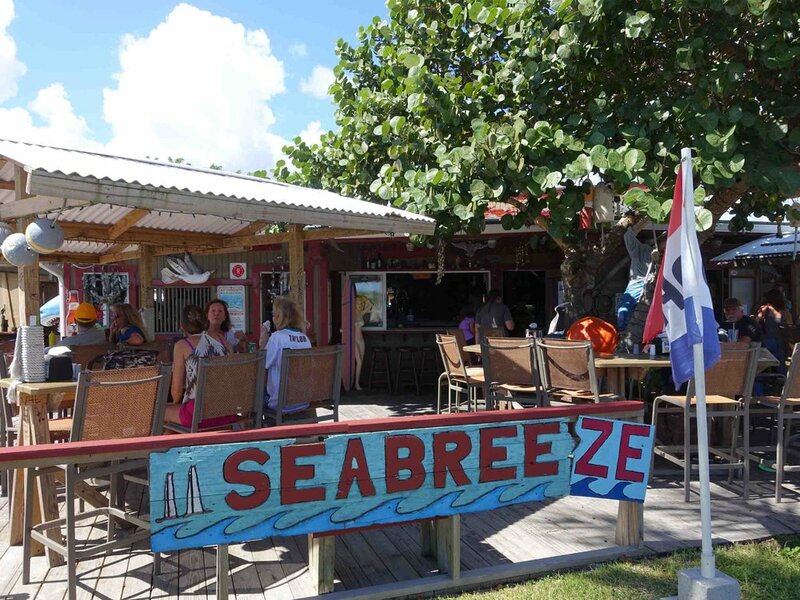 Archie's Seabreeze is a Florida beach bar that is located across the street from the Atlantic Ocean. Archie's attitude is "no shirt, no shoes, no problem." In 1947 Archie's was a military shack that served beer to the soldiers stationed on South Beach. The east coast of Florida has a lot of history with regard to WWII and our soldiers. Taking care of our soldiers is a good thing. Patty McGee purchased Archie's in 1994 and put her heart and soul into making it one of the coolest beach bars around. There are several bars and seating areas throughout Archie's. Trees and umbrellas provide shade and atmosphere. From the furthest back "Out House" area to the street side bar, you will find a section that will accommodate you and your friends. Walk over from the beach, and enjoy a great burger and a beer. Flip flops and bathing suits are welcome. Archie's is your typical laid back, casual and happy beach bar. Everyone is welcome there, and everyone is friendly. Be sure to order a burger. Archie's is known for their burgers and a burger from Archie's will be among the best you ever had. There is live entertainment most days which is key to a great Florida beach bar. Depending on "season" you can find music almost every day and twice on the weekends. Check their web site for specifics. You can play Bingo at this beach bar and you can attend church on Sundays from 9:00 a.m. and 10:00 a.m. After that Island DJ Mark plays from 11:00 a.m. to 3:00 p.m. Some days there is a live band and others it is a DJ or Karoake. There is always something fun happening at Archie's Seabreeze. Twice a year, Archie's hosts "HOGG WILD". This fundraising event takes place on a Sunday afternoon a week prior to bike week in October and March. The adjacent parking lot is turned into a party area. There are live bands all day and vendors set up tents with interesting items to purchase. Money raised at this event goes to a local charity. It is something to behold and really fun. Be prepared to not want to leave once you get there and begin to unwind. Archie's is a great people watching place. People watching is a great Florida beach bar pastime. 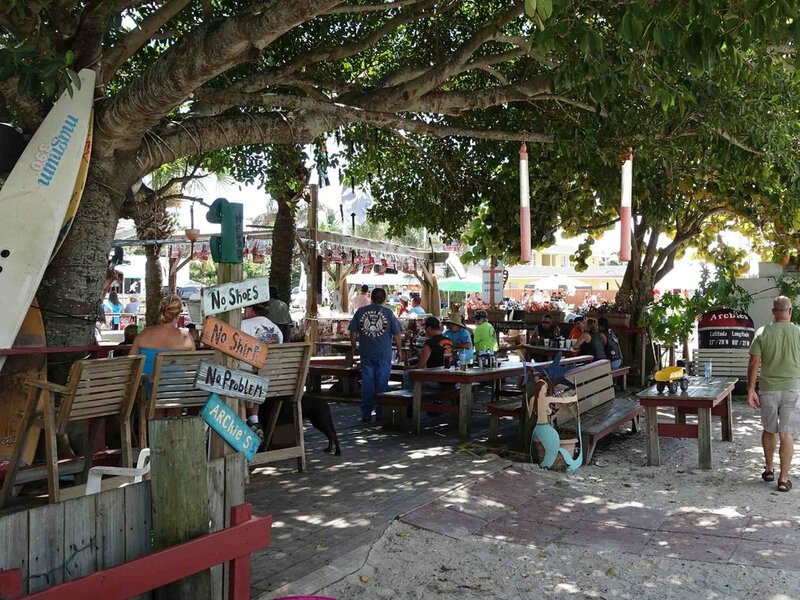 Visit this Florida beach Bar and enjoy the “Jewel of the Treasure Coast” – Archie’s!